Fresh hay reminds me of being down at the barn feeding the horses. A slight summer breeze and the stress free life of a child. 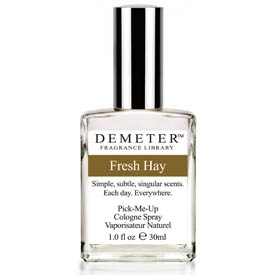 This fresh hay scent is crisp and fresh, as the name implies. If you are looking for the unique fresh hay scent, we will ship it out today!